We know that you used to work in graphic design. 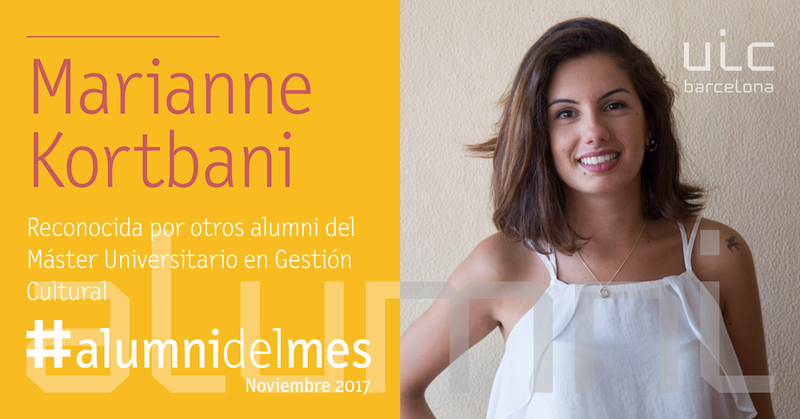 Why were you interested in the cultural sector and what made you decided to study the MA in Cultural Management at UIC Barcelona? I was working as an editorial designer in a publishing company, I found design to be very interesting and creative but always serving bigger ideas, products, projects… and in my case: books and publications. I became interested in producing and managing ideas, products and projects more than just designing and communicating them visually. That’s the reason why I decided to go into management and especifically into Cultural management since I was already in the cultural business (publishing house) and I believe in culture and art as factors of social, political and economical development. 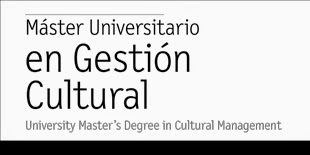 After the MA in Arts and Cultural Management, you have worked as an intern in Interarts foundation for cultural cooperation in Barcelona. Tell us about this experience, what were your main tasks? I was an intern at Interarts Foundation for Cultural Cooperation between July 2016 and March 2017, I was mainly working as an assistant coordinator into a project called SouthMed CV, an EU funded project that targeted the region of the Southern Mediterranean and aimed to promote culture in that region as basic pillar of development, bringing culture from the margin to the center of social focus. SouthMed CV sub-granted 39 projects ranging between contemporary art, theatre, music, urban development, arts in public spaces, collective memory and heritage, and often treating social issues such as discrimination, gender equality, accessibility of culture etc. My main tasks were: coordinating the calls for applications, communication with applicants and sub-grantees, communication of the project on Social Media, producing content for the project website, and redacting narrative reports. This experience taught me a lot about managing projects, networking and communication, especially about grants management. After your stay in Barcelona, you returned to Lebanon. How was that process to get your current position? When I returned to Lebanon, I was not familiarized with the cultural scene there, I was looking for a job, through my contacts gained during my internship at Interarts. I was introduced to a theatre company in Lebanon called Zoukak, they were founded in 2006, they work mainly with social and political theatre, their work ranges between productions of plays, theatre-based psycho-social work, and they organise a performance art festival each year in Lebanon. I worked with them as stage manager and assistant director for one of their creations, which led me to work on another play with a Palestinian actress and writer, and now I started my role as Communications officer with Zoukak theatre company. I consider myself lucky to have met the right people at the right time, and such incredible people doing great working in my country and using theatre to express new visions and fight against social issues and political inequalities. In my case, networking was a big factor, I think it is very important in the cultural field to be open to meeting people and using your connections to find new interesting projects to work on. Do you keep in touch with your classmates? Why are you visiting Barcelona? Yes I keep in touch with many of my classmates, although we all live in different countries now, and few of them stayed in Barcelona. We still keep in contact, in fact I am visiting Barcelona today because of my friends whom I met during the Master’s degree. I came to visit them and catch up like the good old times. One of the most important benefits of our Master’s Degree at UIC, other than the education and knowledge, is the bond we made together and meeting all these interesting people from international backgrounds, it really enriches you as a person. As Cultural Manager, what would be your advice for the ones who have just started this new MA academic year? My advice to the new students is to benefit from every opportunity this Master’s degree gives you, because there are many: whether the teachers, the study visits to all the cultural entities, and most importantly the group work and internship. You never know where it could take you! And of course enjoy it as much as you can!